Since 2015, ten states have passed laws requiring abortion providers to inform women that a medical abortion can be reversed. The laws are largely based on anecdotes rather than medical studies, largely stemming from the work of George Delgado, a California-based doctor and medical director of Culture of Life Family Services. The New York Times Magazine has a deep dive on Delgado and the growing popularity of the abortion-pill reversal narrative that’s gaining traction in anti-abortion circles. Delgado, a committed Catholic who is trained in an obscure religious method of women’s healthcare, began working on the abortion-pill reversal procedure in 2009. The Times reports that Delgado received a call from a Texas woman who had taken the first pill (mifepristone) of the two-drug regimen and “immediately regretted it.” The woman was desperate to stop the medical abortion and, in response, Delgado found a local doctor willing to follow his suggestion that the woman be injected with progesterone. The reversal was, according to Delgado, successful. The woman later gave birth to a baby girl. In 2012, Delgado, along with the California-based anti-abortion doctor Mary Davenport, published a paper in the Annals of Pharmacotherapy that outlined seven cases of women who had taken the first pill (again just the mifepristone) either days or hours before contacting a physician to reverse the medical abortion. According to the journal article, abortion reversal was successful in four of the seven cases. Two of the women aborted and one could not be located. If further trials confirm the success without complications of this or similar protocols, it should become the standard of care for obstetrician-gynecologists, family physicians and emergency-department physicians to attempt mifepristone reversal on patient request. Since the initial publication, Delgado’s practice—as well as his influence over state anti-abortion laws—has grown significantly. 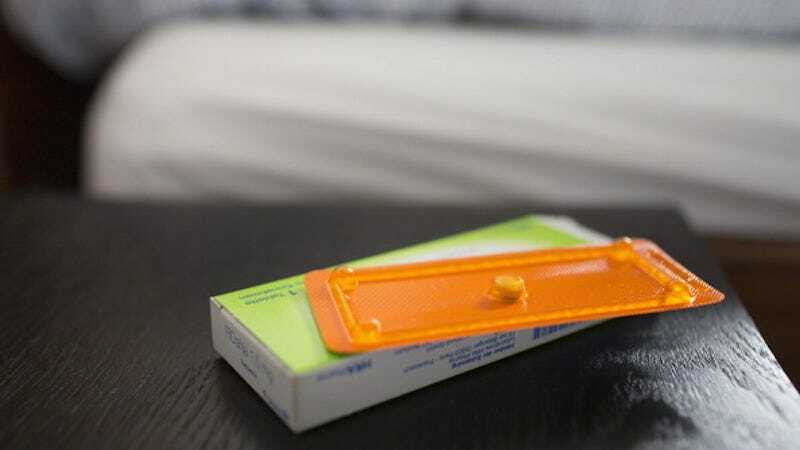 He’s told multiple publications that his hotline averages some 600 calls a year, all from women who have taken mifepristone but have yet to take the second pill of the regimen (misoprostol). The hotline connects regretful women to local doctors willing to administer Delgado’s progesterone method. Meanwhile, another doctor Matthew Harrison has also said that he’s had positive results with abortion-reversal, using relatively the same method of progesterone injections. Both Delgado and Harrison have become celebrities of pro-life communities; hailed as heroes in an abortion debate fundamentally changed by the introduction of medical abortions. The narrative they sell, reversal as a potential to be reborn in a sense, is built on a pre-established anti-abortion narrative: It’s one of regret and sadness at woman’s decision but, as the Times points out, the abortion reversal story is more compelling because it’s more likely to have a happy ending. Indeed, such personal confessions are a cornerstone in the anti-abortion community but repentance is ultimately reliant on death. But if Delgado’s abortion reversal method has gained traction among advocates and lawmakers, then the science is still lacking. StatNews reported in April that “both the American Medical Association and the American College of Obstetricians and Gynecologists say ‘there is no credible, medical evidence’ it works.” The disagreement seems to be primary over progesterone’s effectiveness. Delgado claims that progesterone—the hormone that thickens the uterus it for pregnancy—disrupts a medical abortion. Others, like the American Congress of Obstetricians and Gynecologists, say that Delgado’s numbers track what we know about medical abortions, simply that if both pills aren’t taken the effectiveness of the regimen drops drastically, working only 30 to 50 percent of the time. Still, other doctors disagree, pointing out that while progesterone isn’t an iron-clad method of reversal, it’s more likely to stop a medical abortion than anything else. If the science of abortion reversal is still disputed, then its use in legislative chambers is not and it’s likely to become even more influential in the future. Delgado told the Times that he has more research with a larger sample pool forthcoming and it’s clear that his existing research has become a touchstone for the anti-abortion community. What’s perhaps most troubling about the Times’s story is not Delgado’s pursuit from abortion reversal but rather the continued support among local legislators to enact laws that mandate the recommendation of untested and unproven medical experiments on women.